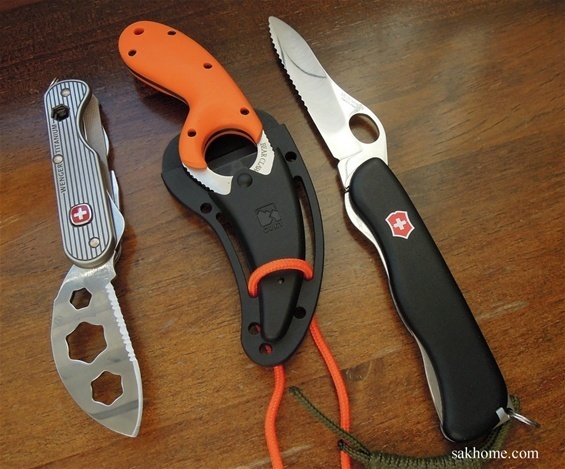 Some knives that can be used for rescue. 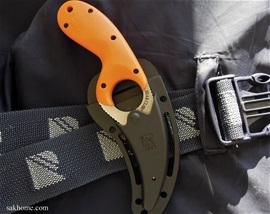 Ueli Steck use his Wenger Titanium up in the mountains. It will cut! 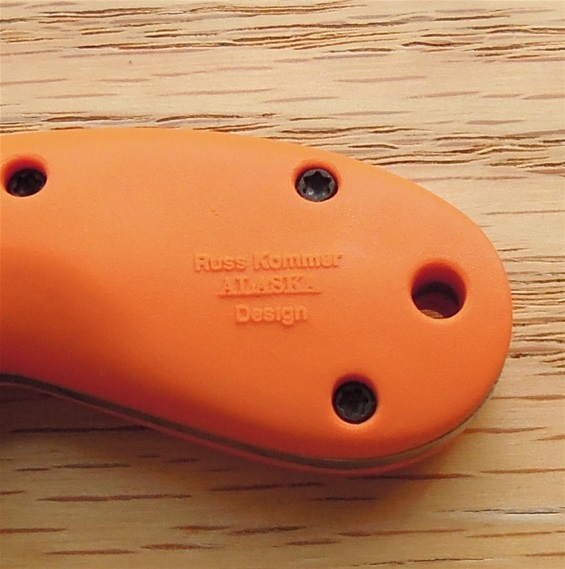 The Bear Claw was designed by Russ Kommer and it was made to be a self-defense knife for women. 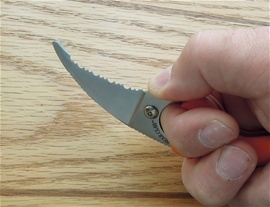 This Bear Claw is different because it is a Rescue type knife with a round point. This just shows that a self-defense or tactical knife for defense very easily can be turned into a tactical knife for rescue. It cannot be used for fighting at all anymore. It is now a pure special purpose knife. It can be used for all kinds of Rescue work. Words can really not express how nice and versatile this knife is. It will save lives for sure! It can be attached in all kinds of places or directions. 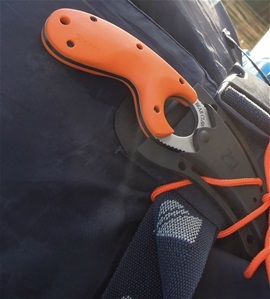 Bright orange handle that is very comfortable and safe. With the finger through the hole it cannot be dropped. I would recommend practicing some with it. Try to pull it out with one hand and make sure it is attached well. 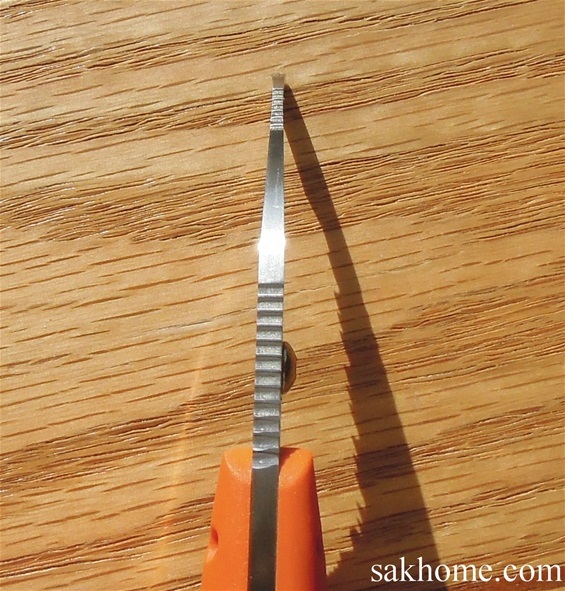 The serrations are aggressive and it cut rope without any problem. There are many rescue blades today in the market and I hope you can take some time to see my other rescue pages with the SAKs. The sheath is tight and strong for the Bear Claw and I cannot find any negative to say. 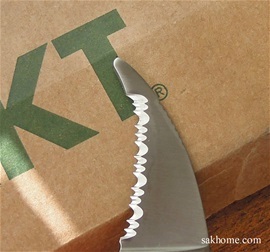 I would recommend having a second knife with you, for example a multi-tool or a SAK is smart. 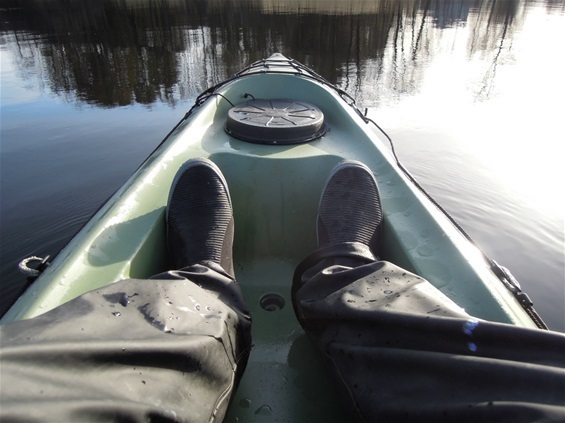 In a kayak, fishing or at sea today usually require more tools. This Bear Claw represents for me a very good quality rescue knife. Make sure it is attached well. Use the cord to secure it. Special purpose blade that will cut belts, webbings and rope. The Bear Claw will cut most things but the special purpose Victorinox belt cutter is better designed because of the extra length that will make it able to cut belts better. The Bear Claw is used by men and women around the world. With gloves and large hands then the finger will not fit through the hole. Take advantage of the gimping! It fit perfect and it is locked! The Bear Claw can be used in multiple grips. 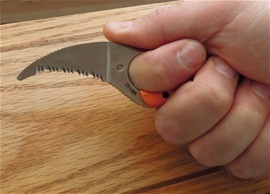 On the picture is the grip for cutting free a person from a belt. Multi-tools and SAKs works well together. I had the Bear Claw on my vest today and i did not feel it at all. It was not in the way when fishing. Took a small evening trip in my “sit on top kayak” to test the Bear Claw. It works very well. 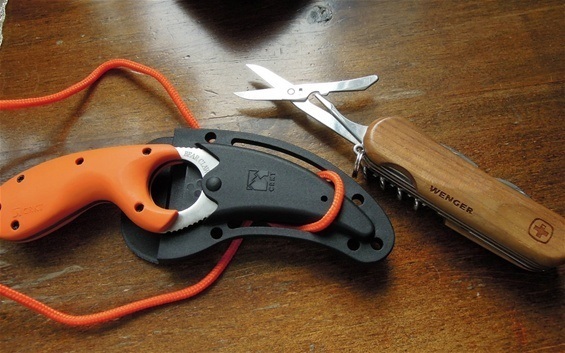 I have used the Victorinox Sentinel much in the kayak when fishing. I will rotate with the Sentinel, Bear Claw and a Wenger. It is an advantage with a short configuration. The Bear Claw or a SAK in a pouch both works well. It is an advantage with a short configuration on the life vest. 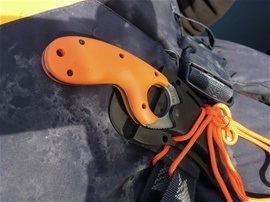 This will make you able to move in a kayak or move freely when you fish in a boat with your fishing rod. This is why I like a SAK in a pouch too. The blade itself on the Bear Claw should be some longer for the best cutting on a seat belt in a car for example.The durability of the sheath is long. There will always be some wear but I know from others that it will last a long time. 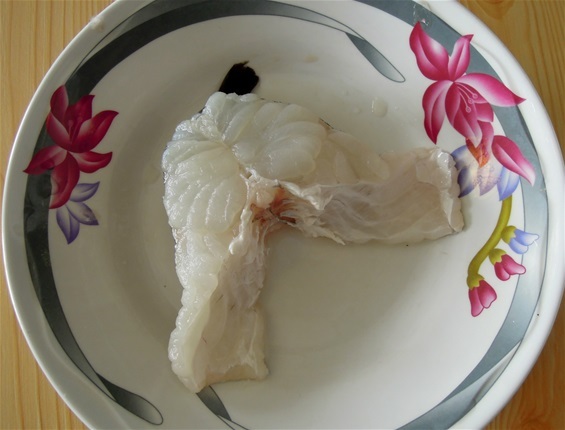 PS the fish slice is cut with a Wenger Swibo. 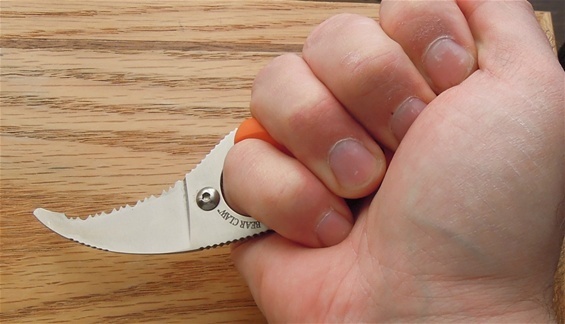 The rescue knife would not be good for this.